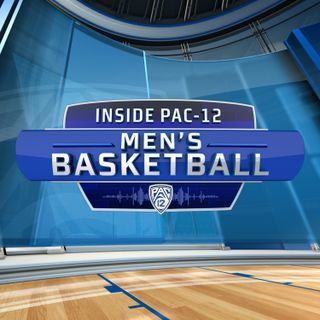 Pac-12 Networks’ Mike Yam and Don MacLean recap the Pac-12 Tournament, and share some of their favorite moments from Las Vegas (2:48). They discuss Washington’s Matisse Thybulle breaking Gary Payton’s conference steals record (6:46), and break down how Oregon was able to win four games in four days (14:52). Mike and Don go in-depth on the Pac-12 NCAA Tournament teams, 12-seed Oregon, 9-seed Washington and 11-seed Arizona State, and preview each of their first round matchups. They interview ... See More Oregon head coach Dana Altman (22:17), and ask him about Payton Pritchard’s phenomenal play to end the season. They talk to Washington head coach Mike Hopkins (37:33) and chat about the importance of an NCAA Tournament appearance for his senior class. They also interview Arizona State head coach Bobby Hurley (48:00), and discuss the Sun Devils playing in Dayton for the second consecutive season. Finally on “Story Time with Don MacLean” he recalls losing to Indiana in the NCAA Tournament, and discusses the pitfalls of teams being overconfident in March (55:57).